Renewed efforts are to be made to reach a compromise between conservationists and wildfowlers about shooting in Findhorn Bay. Efforts to reach a compromise between wildfowlers and conservationists over shooting in Findhorn Bay have failed. 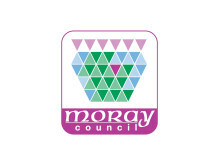 Moray councillors today agreed today to fund urgent repairs to a structure which forms part of historic Kinloss Abbey.